CONSUMER goods corporation Unilever will soon throw open a window to Singapore entrepreneurs to develop their business ideas. The Unilever Foundry, to be launched here on Jan 15, will be where business ideas are forged, with selected entrepreneurs getting mentorship from Unilever; the Foundry will help them hone their business idea, get into technological collaborations and draw up a market strategy. These startups may subsequently apply for funding from Unilever Ventures, the corporation's venture capital arm, which effectively brings them into a more established partnership with Unilever. Marc Mathieu, Unilever's senior vice-president of global marketing, said: "Through The Unilever Foundry, we hope to contribute to the entrepreneurial ecosystem and build businesses that might eventually become our global strategic partners." On Jan 15, more than 300 Unilever marketers and start-up leaders in Asia will convene at Mapletree Business City, where about half a dozen Singapore startups will showcase their products and services. These startups in marketing services, media and technology will be given a set of briefs, which they will then examine and come up with a response over the ensuing weeks. Unilever will pick the best responses and offer the selected startups three months of mentorship. Unilever will focus on investing in startups in digital marketing, mobile, content, e-commerce, analytics and data, with the type of funding granted depending on the startup's unique needs. The Unilever Foundry, a global initiative already launched in the UK, Australia and the Philippines, has so far launched or is committed to launching 50 pilot projects with tech startups around the world. An example of a committed project is Unilever's bringing together the makers of Magnum ice cream with the digital startup NewAer to soup up Magnum's ice cream cabinets so that they make use of existing mobile technology to alert an individual to his friends who are nearby. The result: everyone can share "an ice cream moment" together, in what Magnum expects will be a game-changer for it in terms of engagement and driving sales. 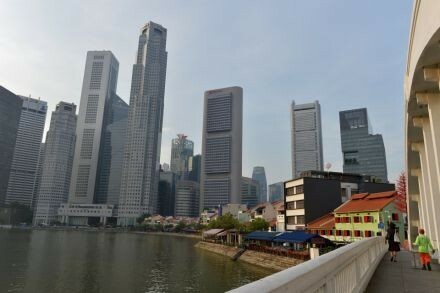 A Unilever spokesman said it picked Singapore as the fourth place to launch its Foundry because the Republic has a strong start-up scene which provides a lot of potential to harness and nurture. The level of talent and infrastructure in Singapore also made it a logical early location for the Foundry. "Singapore is also the global logistics and operations hub of Unilever, where multiple global brands operate. "In addition, Singapore's geographical location is strategically relevant as it is a great entry point to emerging and developing markets," he added.